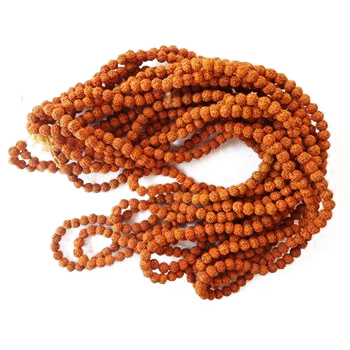 5 mukhi Rudraksha Beads are most commonly available rudraksha beads and are relatively cheap. It is very good for meditation and help in controling many health problems like Blood pressure, Breast ailments, Memory enhancer, acidity, fistula and Cardiac problems. It is very powerful and auspicious beads to be worn, it is also used in water therapy.